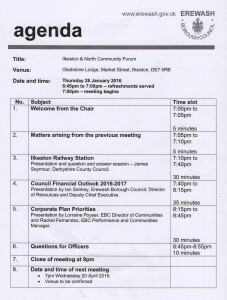 Last night’s Ilkeston & North Community Forum (28th January) held at Gladstone Lodge on Market Street began with a 30 minute presentation by Derbyshire County Council’s James Seymour, a transport planner tasked with updating residents and Councillors on the frustrating progress of the delayed railway station. In fact, so little is certain that an undetermined contingency budget has been built into what is now estimated at an overall cost of £10 million, up from the £6.5 million projected in May 2013, £4.5 million of which was awarded by the government’s New Station Fund. It’s been 50 years since Ilkeston had a station and 15 years since the county council picked up the issue and made it a policy for their local transport agenda. The interest from government ministers has been hopeful, as was the Tory government’s touted commitment to transport infrastructure as far back as 2010. The station is to be delivered through a partnership between the government, Network Rail and County Council, with financial support from Nottingham Housing Market Area. The mentioning of the last point about the newts was met with light laughter and mumbled comments from those in attendance. Taking a question from a raised hand Mr Seymour discussed the newt situation as a protected species, going on to remark that during the construction phase an ecologist would have to be on site, and the reappearance of any Great Crested Newts would halt the development. A routine environmental survey conducted in 2013 revealed the nesting site of the rare amphibians. The endangered species are protected under the law at an EU level, said Mr Seymour, and it was proving a problem for construction across the UK. In order for the construction zone to be given the all clear, the site must remain newt free for 5 consecutive days. Despite the inconvenience, this is something that cannot be helped. A few years ago a major road rebuilding project had to be halted at the Little Eaton junction on the A38 after the discovery of a rare species. The disruption resulted in traffic delays since this junction is the major entrance to and from the city. Unfortunately work had to stop. 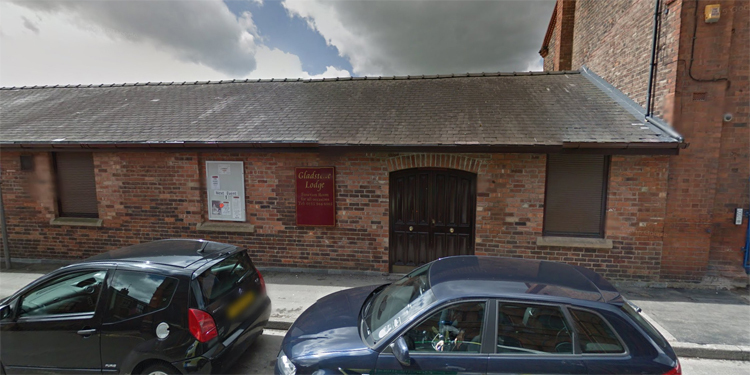 The contractors had no choice and a similar situation arose at Ilkeston. Other points raised in the presentation included the checking of the old mine shafts in the area for “dangerous voids”, meaning the safety of the ground would need to be checked to ensure there could be no risk of collapse. Also emphasised was the “changes to some of the working methodology” and the fact that there is “not going to be any activity for a few weeks.” We were told to expect to see the main works up and running during March. The development will be a 2 platform station with shelters and closed circuit television. 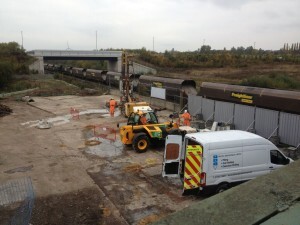 Network Rail will operate the CCTV system. Initially, the station will not be staffed, running only from a ticket machine. The train operators might eventually think it is worth having the station staffed. The social economic benefits of having the station in town were brought up, with optimistic presentation slide bullets such as “increased property values” and “attract businesses.” Whether the station will really move the needle in terms of commerce remains to be seen, but the council’s projections need to be hopeful if the station is to be built. At some point in the future, Derby University is opening up a campus in Chesterfield, so the Ilkeston station might present opportunities to access education and jobs elsewhere. 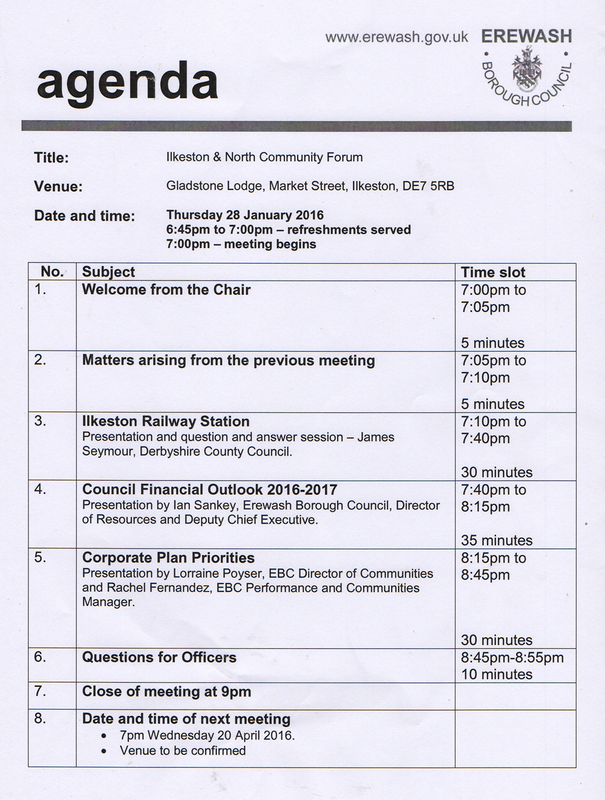 Information is currently being gathered on the socioeconomic health of Ilkeston, we were told. 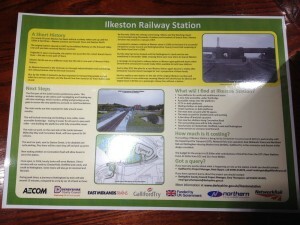 The station is being used as a focal point for Ilkeston and the marketing angle is to encourage residents to leave the car at home, get out, walk and cycle. Another attendee remarked the project had not only been delayed, but downgraded. “We’re getting less for more,” he asserted, and a ripple of hushed agreement was heard throughout the room. It should also be pointed out, that right now, a contractor still has not been chosen by Network Rail to build the station. 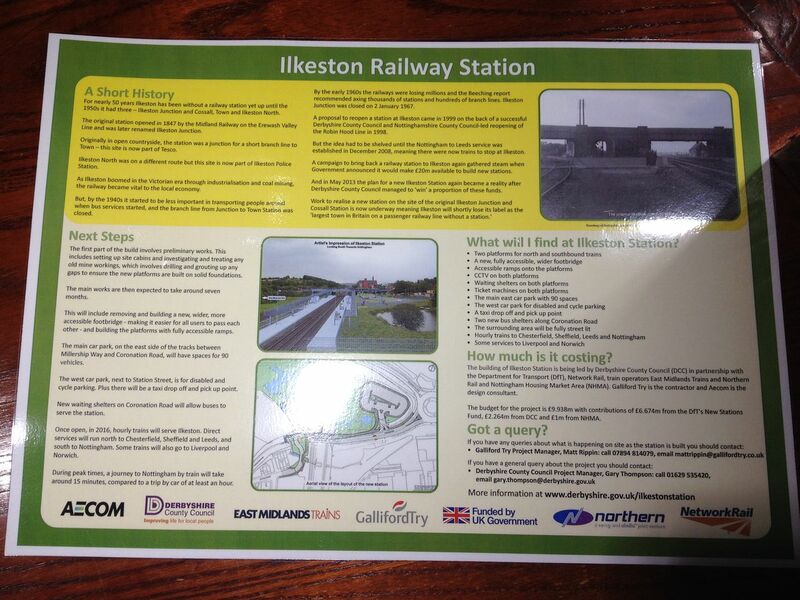 A Derbyshire County Council report on the Ilkeston Railway Station from July 2015 includes some of these details. Before the meeting closed, Mr Seymour produced a large laminated information leaflet which will be available at the development site shortly.